Median value increased from 2004 - 2006. From 2006 to 2009 values decreased. From 2009 to 2011 values increased, decreased in 2012, then appreciated in 2013 and 2014. 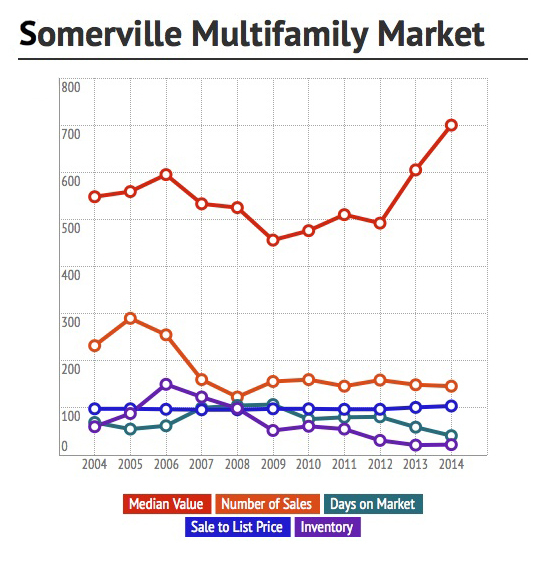 Median values are up 54% from 2009 - 2014. 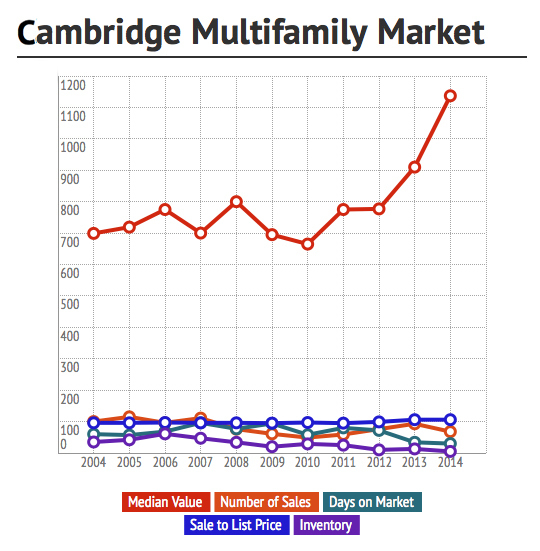 As in Cambridge, appreciation has been driven by increasing rents, strong investor and developer demand, and decreasing inventory. I just sold this Condo at 24 Ossipee Road, Unit 1, Somerville, MA .